1. In a medium size bowl, combine all ingredients and mix well. 2. Roll the dough into 16 balls then coat each ball in extra white sugar (optional). Refrigerate balls until cold (about 10 minutes). 3. Meanwhile, line a baking tray with baking paper and preheat the oven to 175C (350F). 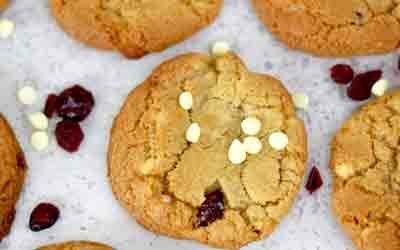 Place cold cookie dough balls on the baking tray and press down on each one gently with fork or the back of a spoon. Bake for exactly 15 minutes*. Leave to cool slightly on the tray for 10 minutes before transferring onto a wire rack. 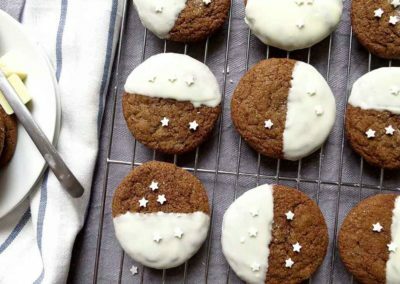 These cookies can be stored in an airtight container and will keep for 3-4 days. 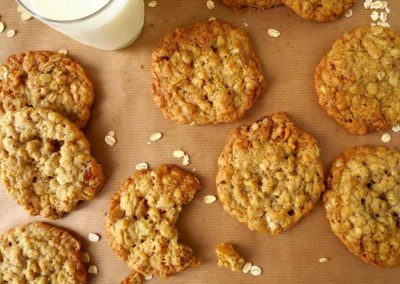 * Be careful not to over bake these cookies – they continue cooking sightly on the tray when removed from the oven. 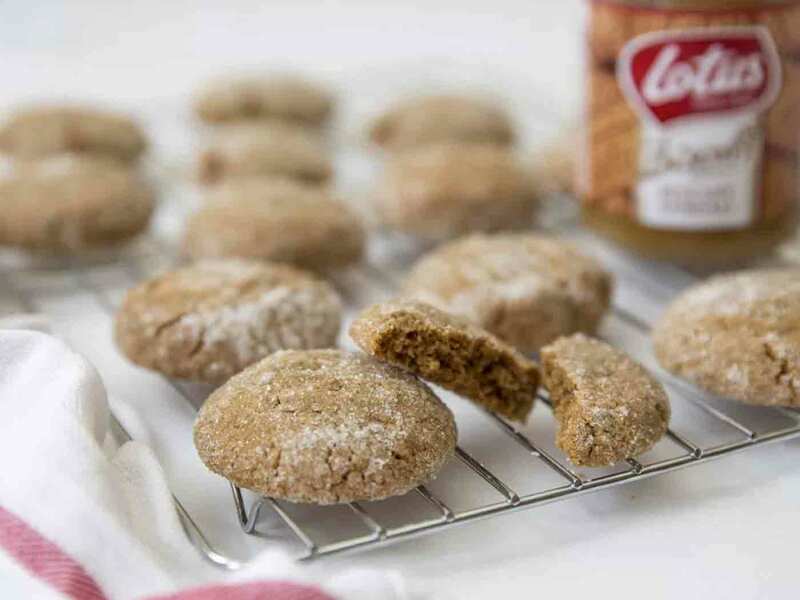 Fudgy Biscoff Spread cookies coated in sugar for an extra crunch! How was your Easter? Did you get a chance to bake anything for the occasion? Kevin and I spent Easter Sunday catching up with old friends, napping and eating way too much. On Easter Monday we walked it off in a beautiful Frankfurt forest and today we’re off on another train trip to visit more friends further South. Speaking of eating way too much, I have a question for you – have you ever heard of Biscoff biscuit spread? I hadn’t heard of it before moving to Europe an when I saw it for the first time it didn’t appeal to me at all. I thought it was a cheap peanut butter knock off and it never occurred to me to buy some to try it out. That was until my friend Teri mentioned how much she loved it. Eventually her words convinced me to give it a go and I bought a jar and tried a spoonful, and then another one, and another. I have never looked back from that moment and now Biscoff biscuit spread is a regular in my pantry. Now instead of having several one daily tablespoons teaspoon of peanut butter, I now have to have one of Biscoff as well. What has this girl introduced me to? I know I’m a little late on the band wagon here and you’ve probably known about this biscuit spread for a while now, but I’m making up for it with this: I reversed Biscoff biscuit spread back into it’s cookie form. Yes that’s right. I made Biscoff biscuit spread cookies! And they are so fudgy, chewy and soft all at the same time and that’s not even the best part. 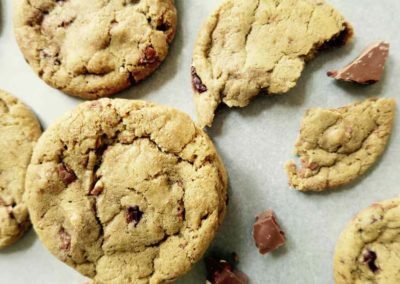 These cookies, like these ones too, have just 4 simple ingredients and are super duper quick and easy to make. 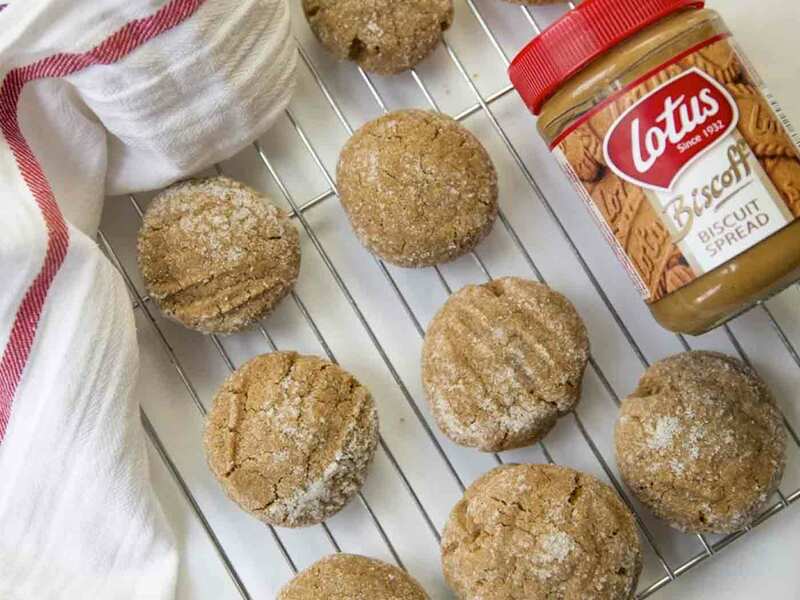 Biscoff biscuit spread is a little bit magical just like it’s partner in crime, Nutella. 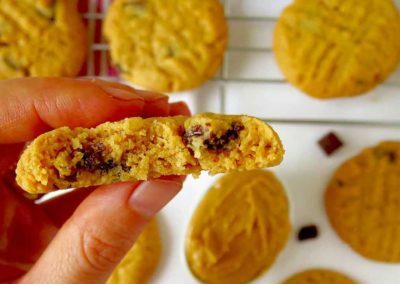 It acts like the fat in this recipe as well as a sweetener and emulsifier which means we don’t need any butter and only a little bit of sugar. 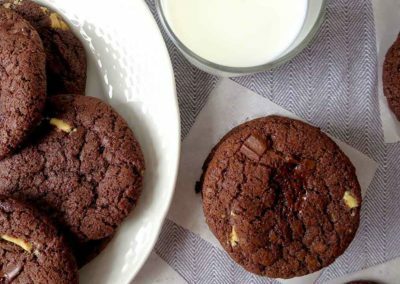 It also makes these cookies uber fudgy with a melt-in-your mouth texture. 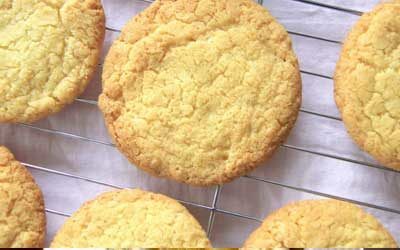 1/2 cup, optional) and 1/2 cup + 2 tablespoons plain flour. You mix them together, roll into balls, refrigerate until cool, then bake! 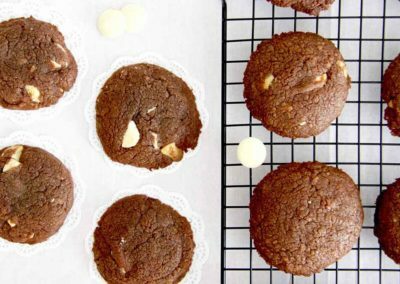 You could also add any additions you like to these….like cinnamon, vanilla, white/dark chocolate, nuts. 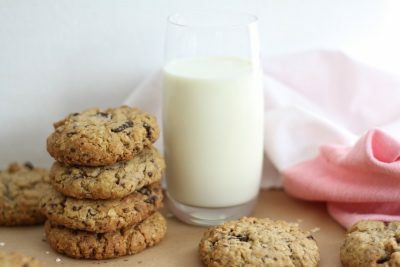 These are versatile cookies! 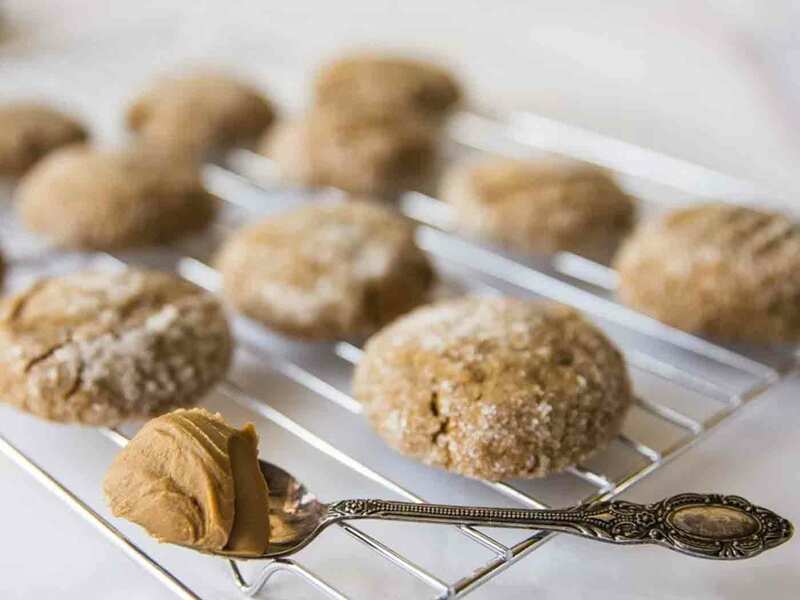 I also like to roll the cookie dough balls in vanilla sugar, cinnamon sugar or just plain sugar before baking for an extra crunch, but they’re good however you eat them. I made a batch of these for a friend who just had a baby last week and I wish I had a batch to take with us on the train this afternoon, I guess I’ll have to settle on eating my left over Easter eggs instead.